Junro is a very experienced soccer coach who holds a USSF A license and a National Youth license. Junro has coached around the world and his coaching experience includes guest coaching for Montedio Yamagata (a J League - top professional league - in Japan) in June and July 2012. Prior to that, he was New Mexico Coach of the Year in 2011 and the 2009 Liberty Mutual Responsible Sports Award winner for New Mexico. Junro has had an extensive playing experience. He played in A-league in 2003, and played at the University of New Mexico in 2001-2002 where he was captain of the team in 2002. 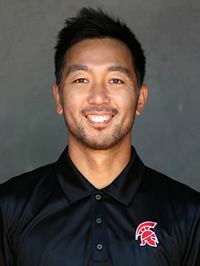 Junro was NCAA D-1 Honorable Mention All-American in 2002, NCAA D-1 First team Far West Region in 2002 and First Team Mountain Pacific Sports Federation Conference in 2002. Junro was born and raised in Japan.